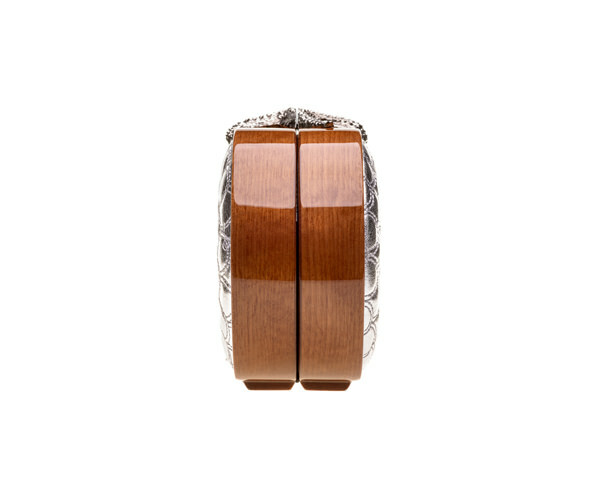 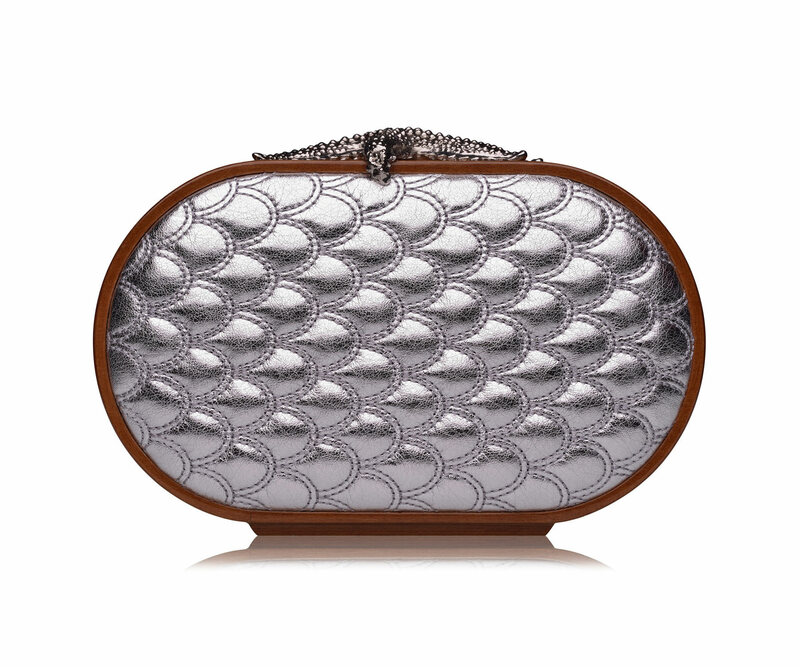 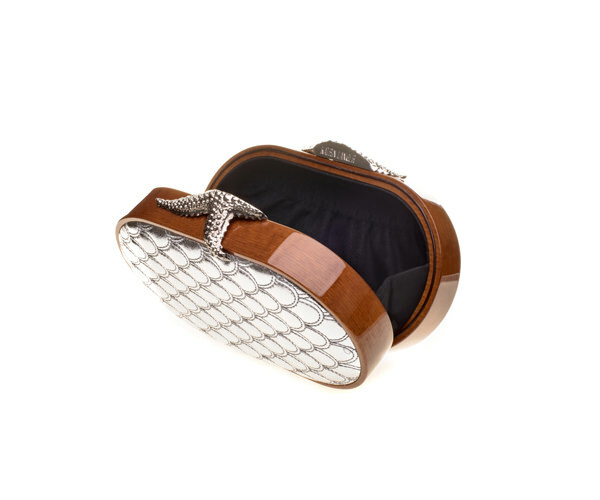 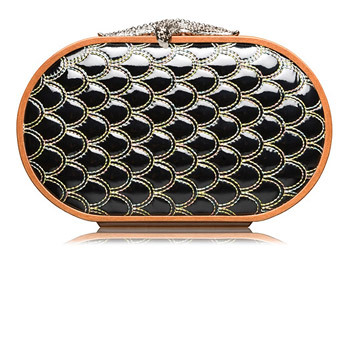 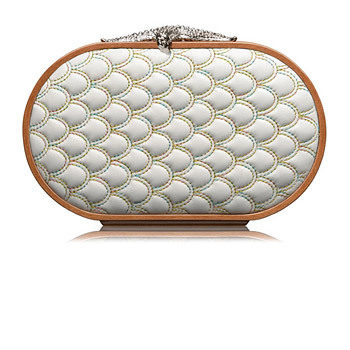 Oval clutch with a glossy handcrafted fine wooden frame. 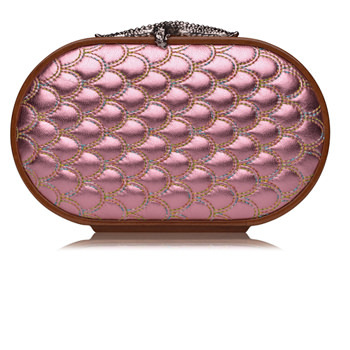 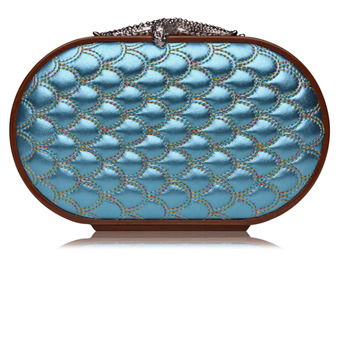 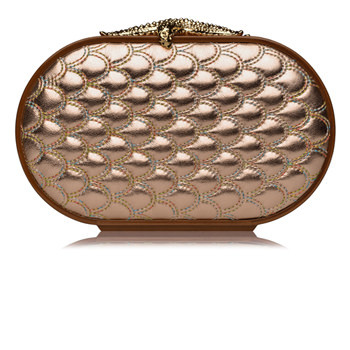 The front and back of the bag are covered with “Metallic Silver“ lamb nappa leather, quilted in a signature fish scale pattern with sparkling rainbow yarn. 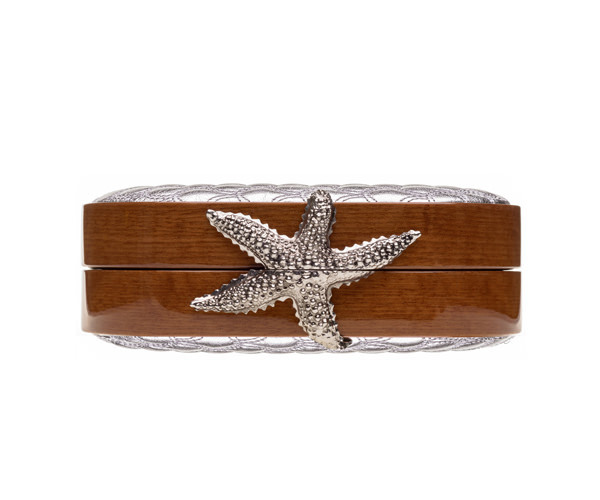 The silver fastening is formed in a signature starfish shape, rhodium-plated and slightly blackened.